Things have been very busy here in 2016! The year started with the 2016 Castafari Big Game Seminar Series that took place March 5th and 6th at an all new location in Newton at the Boston Marriott Hotel. This spot worked out so well that we will be doing it again in the same location for 2017! 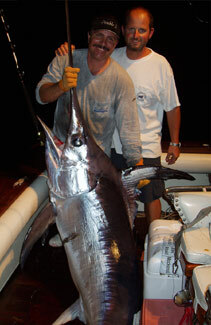 The new dates for our offshore fishing seminar are Saturday and Sunday, April 1st and 2nd. We will be working alongside J&B Tackle again, who will be set up at the seminar offering a full inventory of tackle and great deals. Basically they are bringing their store to the seminar! This is a great opportunity for fishermen to get a jump on replenishing their tackle box, and saving money in the process. We will also be hosting a vast array of tackle companies who will be setting up in the J&B store area displaying and demonstrating their latest products. Last year there were 18 different leading tackle companies setting up in the store. This offers a very personalized and interactive atmosphere for our customers interested in expanding their knowledge on what works, how and why. The next Castafari event on the horizon was the 2016 Oak Bluffs Bluewater Classic fishing tournament which was held July 20 - 23. This is a 3 day bluewater competition held in Oak Bluffs Martha's Vineyard and sponsored by Landshark Lager. This year we welcomed 35 boats. The fishing was good out at the canyons, and as usual, boats were allowed to fish 2 out of 3 days. 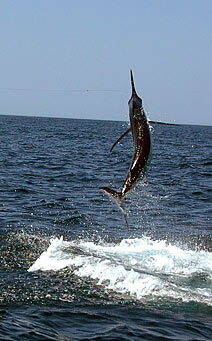 Several blue and white marlin were released, along with catches of bigeye tuna, yellowfin tuna, swordfish, mahi, and wahoo. We put on an amazing pig roast bbq at the awards ceremony, which we will do again next year in 2017! The OBBC also successfully raised over $10,000 for the Island Autism Group. The event also paid out over $50,000 in cash prizes. Congrats to the boat Brennan's Grin for placing 1st...... for the 2nd time in 3 years! For more information, please visit our tournament website at www.obbclassic.com. Now let's talk about the fishing! 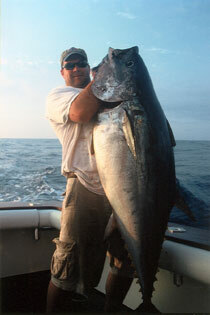 The Castafari kicked off the summer season in mid June chasing bluefin tuna east of Chatham. We saw hundreds of fish...literally everywhere of all shapes and sizes. But they were tough to hook! The fish in the canyons were a lot more cooperative. 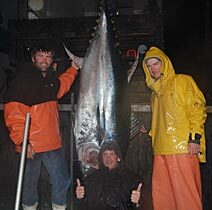 We caught several giant bluefin tuna on the troll. Most bites came on skirted ballyhoo in the long position. Most of the action was out in the eastern canyons from Veatch to Hydrographer. 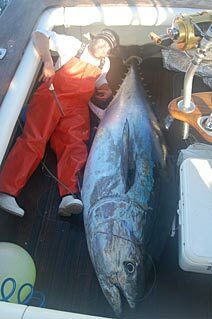 We also managed several nice bigeye tuna on the troll, along with a bunch of yellowfin, mani, marlin, and wahoo. 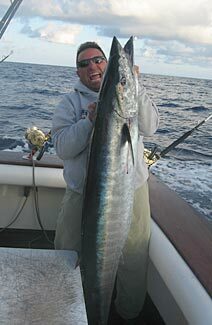 The highlight of our early canyon season was when we caught and boated a 182 pound pending world record wahoo. 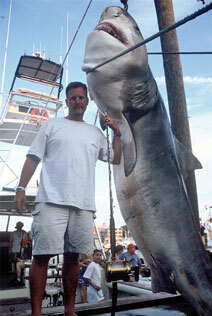 The fish measured 88 inches! Pics can be viewed on the website. 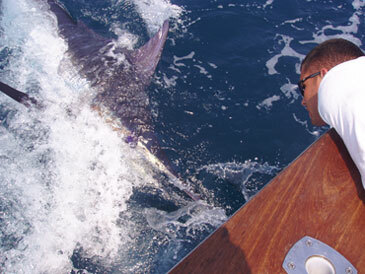 The Castafari also caught 4 nice blue marlin, and 2 of these fish were well over 500. We fished in the 1st annual Northeast Offshore Cup tournament, and placed 2nd overall. This is a 2 month long very stringently regulated cyber offshore fishing tournament, relying on video submissions. We were in the lead throughout most of the season, and lost when we messed up on capturing video on our final blue marlin, which was undoubtedly the winning fish we needed to regain the lead! We ended the canyon season with 3 white marlin and a blue marlin on our last trip. 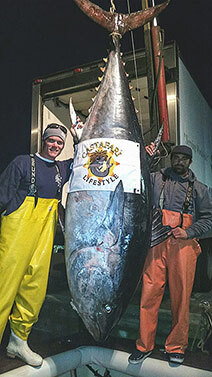 The Castafari is now in full on bluefin tuna mode. 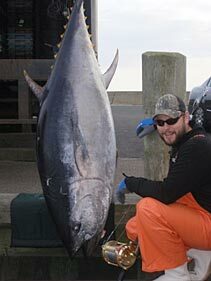 We have been catching medium and giant bluefin at Stellwagon Bank and in Cape Cod Bay. The trick is live bait, and fresh leader material. We never leave the dock without a plethora of both! 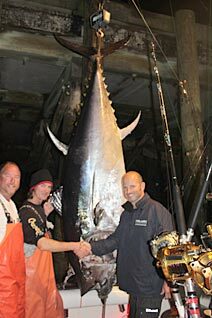 The biggest bluefin to date this season is a 100 inch 600 pounder that we caught on a Georges Bank trip. 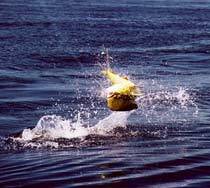 We offer 2 day trips to Georges Bank and also east of Chatham. Our season is sold out through October, but I still have some dates in November left. The good news is the fish aren't going anywhere! 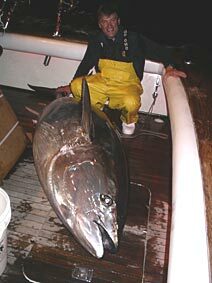 There will be world class bluefin tuna fishing right through November. In 2015 we were tuna fishing until December 15th!